A "special order only" item, which we can order in for you. For these, please expect a delay of up to 2 weeks in addition to our normal delivery times. In the 1960s, Americans combined psychedelics with Buddhist meditation to achieve direct experience through altered states of consciousness. As some practitioners became more committed to Buddhism, they abandoned the use of psychedelics in favor of stricter mental discipline, but others carried on with the experiment, advancing a fascinating alchemy called psychedelic Buddhism. Many think exploration with psychedelics in Buddhism faded with the revolutionary spirit of the sixties, but the underground practice has evolved into a brand of religiosity as eclectic and challenging as the era that created it. 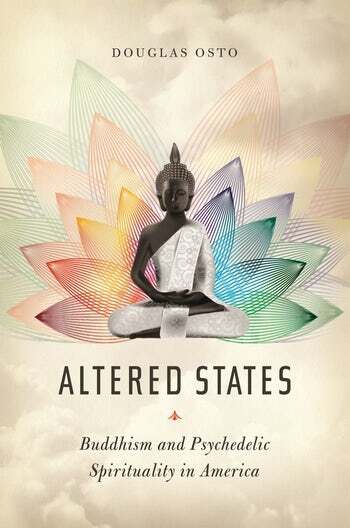 Altered States combines interviews with well-known figures in American Buddhism and psychedelic spirituality—including Lama Surya Das, Erik Davis, Geoffrey Shugen Arnold Sensei, Rick Strassman, and Charles Tart—and personal stories of everyday practitioners to define a distinctly American religious phenomenon. The nuanced perspective that emerges, grounded in a detailed history of psychedelic religious experience, adds critical depth to debates over the controlled use of psychedelics and drug-induced mysticism. The book also opens new paths of inquiry into such issues as re-enchantment, the limits of rationality, the biochemical and psychosocial basis of altered states of consciousness, and the nature of subjectivity.